By Garett Sloane . Published on November 28, 2016. Snapchat ads don't get to play for long on average, but two-thirds play with sound on. Snapchat ads are averaging less than 3 seconds a view, leading some advertisers to wonder whether that's long enough to win over consumers. Video ad length has been a concern on Snapchat since it introduced its first commercial formats, which included the ability to skip them. The ads play among personal videos, as people tap through their messages, popping up as interstitials and at the end of videos. The company has been working with advertisers to teach them how to create for the platform in a way that will keep people from just quickly tapping through to the next video in the stream. But one top advertiser said the app's users typically view ads for 2.5 seconds to 2.8 seconds. "We still buy it, and are figuring it out," the advertiser said, speaking on condition of anonymity to discuss metrics that Snapchat, a close partner, does not disclose. 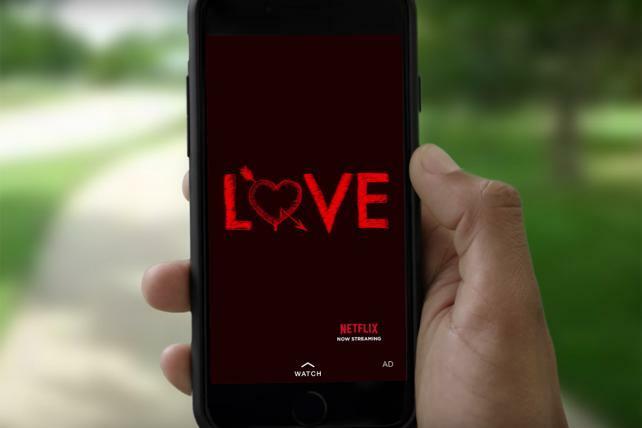 "The interstitial vertical video ad is challenging," said a social media agency executive, speaking anonymously because of a close relationship with Snapchat. "People just tap through. That's the behavior." A Snapchat spokesman declined to comment about the duration of its ad views, but pointed to recent studies by the company showing that Snapchat ads are effective. A test using eye-tracking technology, for example, found that Snapchat ads commanded more attention than Instagram or YouTube ads, and twice as much attention as Facebook ads. Another major factor, which Snapchat plays up, is that most of its ads play with sound on, while rivals like Facebook often run ads with sound off. Snapchat has found that two-thirds of its ads run with sound on, the spokesman said. This year, Snapchat introduced ads that play a short video but prompt users to swipe up to view more. "We definitely like the swipe up," the advertiser said. Some marketers have reported success with those interactive ads, which can lead to the longer videos, app-installs and shopping options. Many of Snapchat's ad formats are still experimental, considering its ad tech platform only came online this summer. Marketers who have bought ads through that API, or application programming interface, have said it compares favorably to Facebook, so far. Still, it's one thing to perform in early tests and another to execute on a scale approaching Facebook's. Snapchat is likely headed for a public stock offering next year and needs to show surging revenue growth to justify a strong valuation from investors. The effectiveness of Snapchat's ads will be among the main selling points. Snapchat is trying to show that even short views have value. Snapchat is not the only platform grappling with what it means to watch video in social media settings. Facebook averages longer view times on video ads, according to a number of marketers contacted for this article. But it is tough to compare platforms. Not only do Facebook videos automatically play on mute, they frequently share the screen with other elements, while Snapchat video takes up the whole screen. In terms of the statistics themselves, Facebook only counts ads as viewed at all after 3 seconds. And they can run longer than Snapchat ads, which are capped at 10 seconds. Facebook has studied how quickly younger social media users consume content online, telling advertisers that they retain some of the messages in ads even if they scroll by quickly. For its part, Snapchat is studying the impact of three-second views. "They want to create meaningful brand experiences, in as little amount of time as possible," said an ad-tech exec who works closely with Snapchat but was not authorized to speak on the record. "You can't make a sale in three seconds, but you can start a relationship with somebody." That's where Snapchat's unique value comes into play. A lot of brands buying ads on Snapchat are looking for an elusive audience: young people who are on their phones more than they watch TV. Snapchat also has ad offerings other than videos. It has branded lenses, which are digital animations that people put on their selfies, and it has static overlays called filters that are targeted by location. With Snapchat's 150 million daily users, lenses and filters have the potential to generate a ton of exposure for brands. If advertisers aren't getting users to stop for 10 seconds in their Snapchat streams, it's probably the fault of the creative, according to Chris Tuff, director of partnerships at 22squared. The nature of Snapchat is that users always tap quickly to get to the next video, and when a brand pops up in that environment, they need to give consumers a reason to hang around, Mr. Tuff said. "Brands can complain all they want about half-second views," Mr. Tuff said. "But they need to be revisiting their creative. They need to invest more into the production of videos, creating for each platform, because the days of using one video for Snapchat, Facebook, Instagram and YouTube are over."